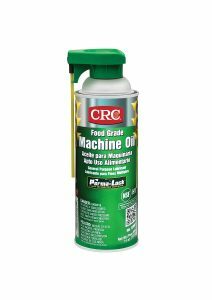 CRC Industries “Green Light” range of food grade lubricants are now the bench-mark products in the food industry. Along with the CRC Food Grade Lubricants Green Light Food Training Program these products provide peace of mind when it comes to incidental contact and adherence to food safety standards. 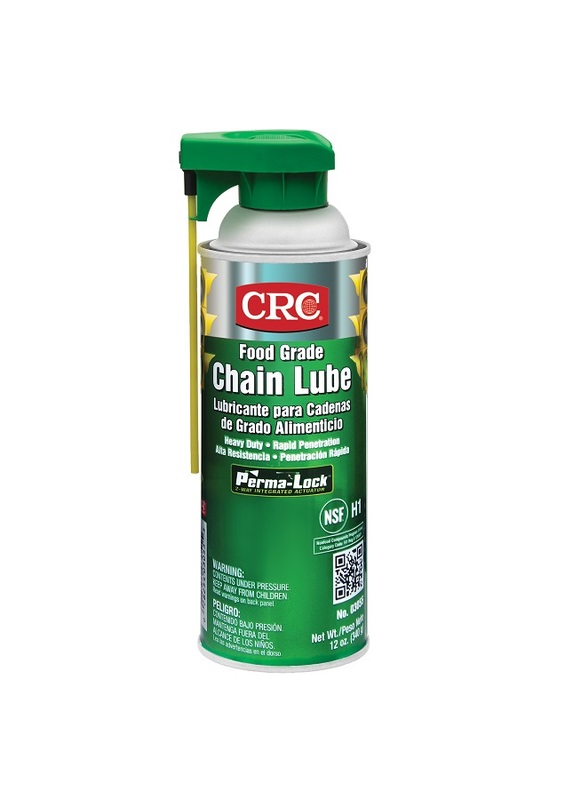 Unsure about which CRC Food Grade product to use? Check the CRC FOOD GRADE APPLICATION CHART. Food Zone Silicone Sealants are NSF Certified for sealing, bonding, protecting and water-proofing applications in food plants. The chemically stable formulations show little change in physical properties after exposure to moisture and temperature extremes. 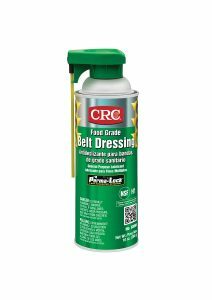 Food Grade Belt Dressing provides a temporary, food grade synthetic treatment for worn belts. It extends belt life by reducing slippage, hardening, glazing, dirt build up and friction. NSF H1 registered for incidental food contact. 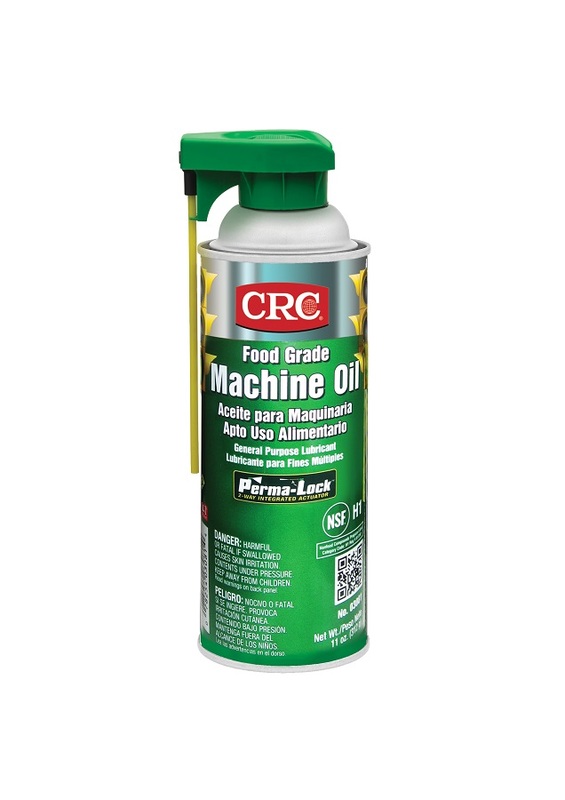 Food Grade Machine Oil – A general purpose non-silicone lubricant for use on all food processing equipment. It penetrates and loosens rust, scale, dirt and corrosion to free parts and fasteners on food processing equipment.. NSF H1 registered for incidental food contact. Contains no silicone. 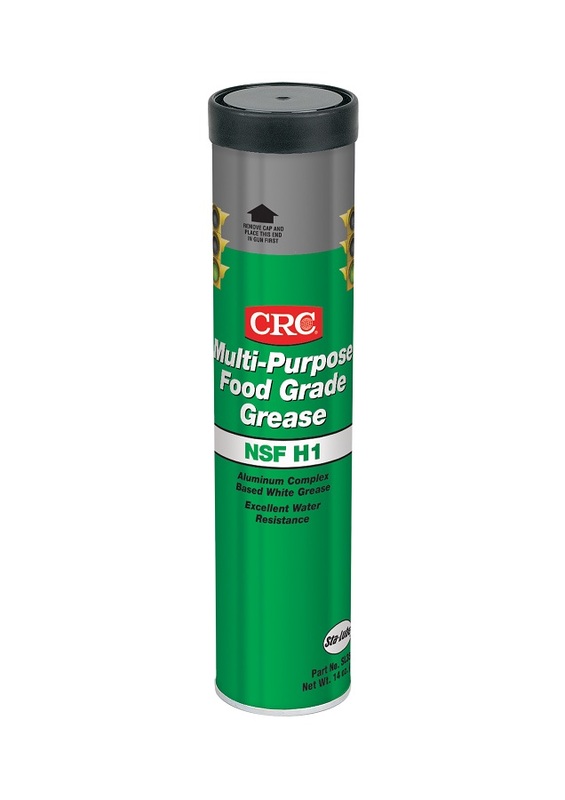 CRC Water Based Silicone is a non-flammable, NSF H1 registered multi-purpose spray. This water based silicone can be used for food processing and handling applications. It forms a white emulsion that is odourless and non-staining and lubricates in most metal-to-metal applications. CRC Silicone Grease is a thin, non-curing silicone grease. It is designed for sealing, lubricating and water proofing ‘O’ rings and other rubber and plastic parts used in food processing equipment. It is resistant to oil, water and chemicals. Wide temperature range – 40 degrees C to + 200 degrees C. Contains no metals. Food Grade Silicone (Non-Aerosol) – A multi purpose silicone spray for food processing and handling applications. It forms a colourless, odourless film that lubricates and insulates in most metal to metal applications. NSF H1 registered for incidental food contact. CRC Food Grade White Grease protects equipment against rust, oxidation and wear. Accepted for incidental food contact. Category 10 Lubricant Type ‘A’ Excellent adhesion, resists throw-off and shear breakdown. Wide operating temperature range from -18 degrees celsius up to +232 degrees celsius. NLGI Grade #2 grease. 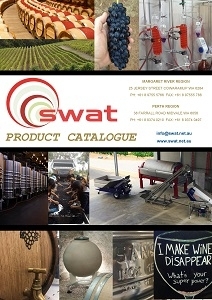 Applications: For use by bakeries, bottlers, breweries, canneries, meat and poultry processors and pharmaceutical manufacturers. For use on ovens, dryers, gears, valves, pumps, winches, conveyors, linkages, hoists and o-rings. 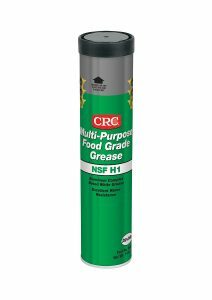 Food Grade Multi-Purpose Grease – An NLG1 Grade 2 aluminium complex-based superior multi-purpose grease for food processing and handling. It will not pound out bearings and bushings during shock loads and contains excellent water resistance and rust and corrosion protection. NSF H1 registered for incidental food contact. Wide temperature range -35 degrees C to +150 degrees C Timken OK load 40lbs. Food Grade Synthetic Grease – An NLG1 2 lubricating grease formulated with quality synthetic NSF H1 authorised raw materials. It has a wide temperature range -40 degrees C to +200 degrees C. NSF H1 registered for incidental food contact. Water wash-down resistant. CRC Heavy Duty Lever Grease Gun is manufactured to suit the 14oz Food Grade range of cartridges. Suitable for use with the CRC GREENLIGHT Program.